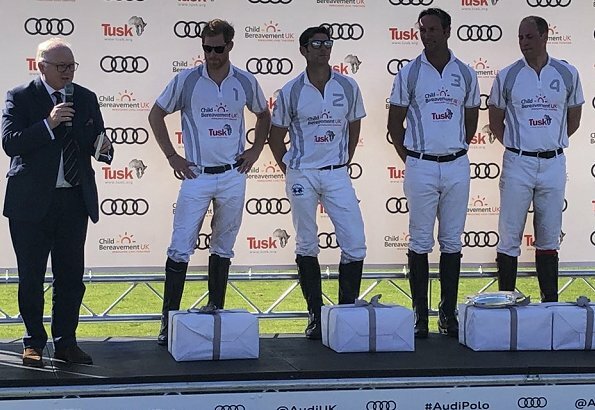 Prince William, Duke of Cambridge and Prince Harry, Duke of Sussex played in a charity polo match at Coworth Park near Ascot. The Duchess of Sussex attended the annual event in support of husband Prince Harry who competed alongside his brother, the Duke of Cambridge. Meghan wore a new shirt dress by Soshanna. The Duchess joined close friend Serena Williams and her husband Alexis Ohanian at the polo event. 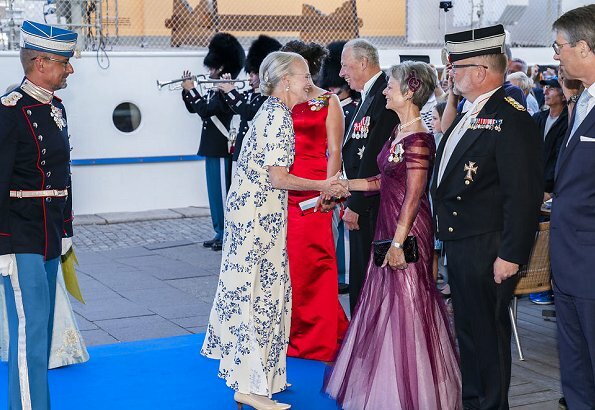 Yesterday evening, on June 29, 2018, Queen Margrethe II of Denmark attended gala dinner of 360th anniversary of establishment of Royal Life Guards (Den Kongelige Livgarde), held at Admiral Hotel in Copenhagen. The Royal Life Guards is an infantry regiment of the Danish Army, founded in 1658 by King Frederik III. In the evening of June 29, 2018, The Longines Global Champions Tour of Monaco hosted "Longines Pro Am Cup" in which amateur and professional riders competed. 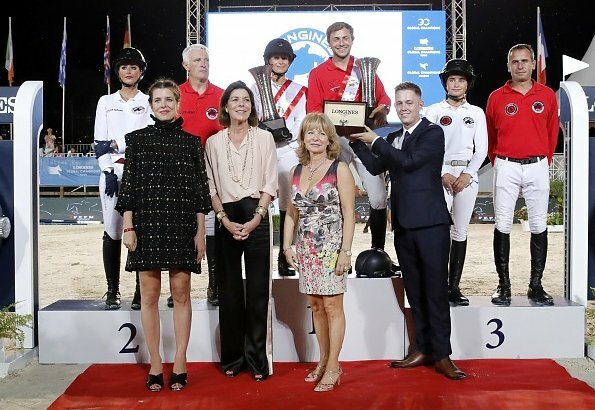 13 teams took part in the set consisting of two tours and Princess Caroline of Hanover and Charlotte Casiraghi presented prizes to the winners. "Monaco Longines Pro Am Cup" show jumping and horse riding contest was initiated by Charlotte Casiraghi in 2010. 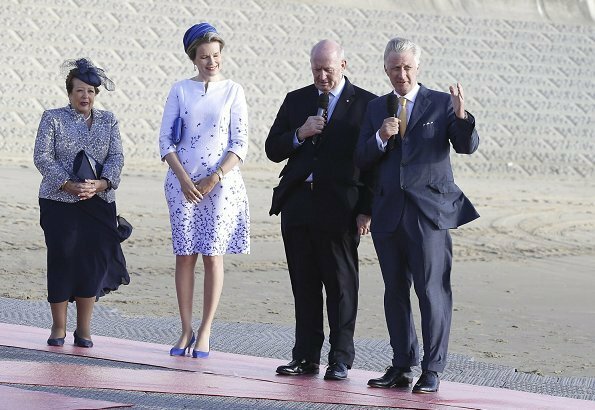 On the second day of their 3 day state visit to Belgium, Governor General Peter Cosgrove of Australia and his wife Lady Lynne Cosgrove attended GoneWest event at Waterfront together with Queen Mathilde and King Philippe. In order to memorialize 100th anniversary of ending of World War I, 6.000 attendees formed a chain starting from the harbour channel in Zeebrugge and ending at the harbour channel in Ostend. Camilla, the Duchess of Cornwall attended a literacy event for The Royal Society of Literature at the British Library in London on Wednesday. The Duchess met the President of the Royal Society of Literature, Dame Marina Warner, at the event. 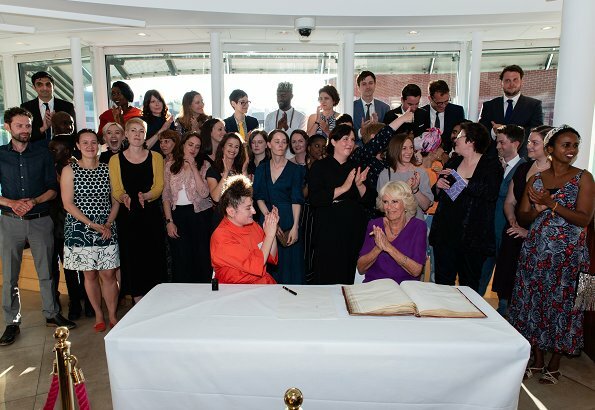 The Duchess of Cornwall is Patron of a number of literacy organisations including the National Literacy Trust, Book Trust, Beanstalk and First Story. 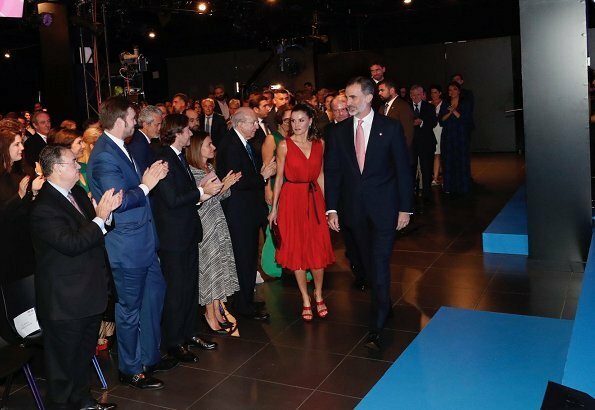 On June 29, 2018, King Felipe and Queen Letizia of Spain attended annual meeting of "Talent Rescuers" held at Malavella Hotel Camira in Girona. "Talent Rescuers" is one of the main programs of Princess of Girona Foundation, which focus on improving employability of young people. Talent Rescuers program of Princess of Girona Foundation supports employability of young people between the ages of 20 and 30 by promoting labour mobility between different autonomous regions of the country. Grand Duke Henri, Grand Duchess Maria Teresa, Hereditary Grand Duke Guillaume and Hereditary Grand Duchess Stéphanie of Luxembourg hosted 2nd garden party of 2018 at Berg Castle. Leaders of unions, professional chambers, representatives of charities, army commanders, Grand Ducal police commanders and senior officers of varius ministries attended the garden party. Princess Stephanie wore a blue jersey cotton nautical anchor dress by Ralph Lauren, which she had worn before. 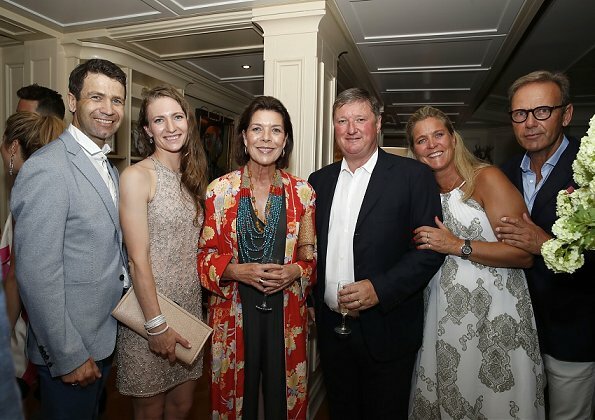 Princess Caroline of Hanover and Charlotte Casiraghi attended a reception held before Monte Carlo International Horse Jumping 2018 contest of Longines Global Champions Tour (LGCT) 2018 season. Monte Carlo International Horse Jumping 2018 contest is being held between the dates of June 28-30, 2018 beside Port Hercules in Monaco. 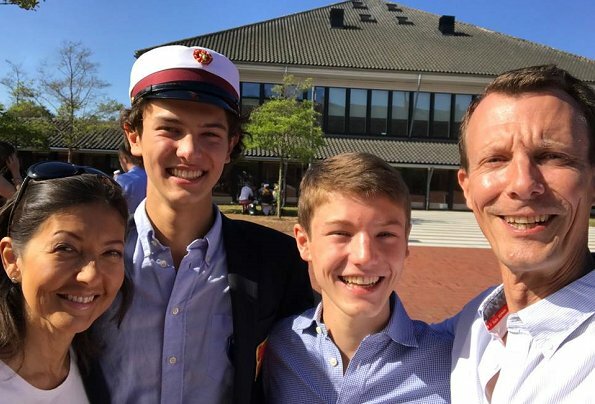 The son of Danish Prince Joachim and his former-wife Countess Alexandra, Prince Nikolai graduated from Herlufsholm Secondary School in Næstved near Copenhagen, and Prince Joachim, Princess Marie, Prince Felix and Countess Alexandra attended the traditional graduation party held at the school. 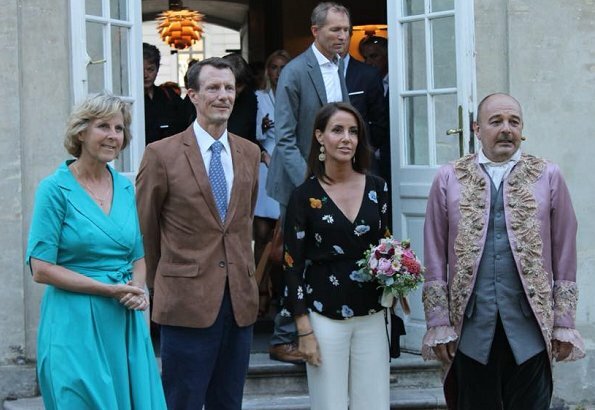 At the graduation party, Princess Marie wore a new floral print silk skirt by Ganni. On June 28, 2018, King Felipe and Queen Letizia presided over award ceremony of 2018 Prince of Girona Awards which are given by "Prince of Girona Foundation" for the purpose of encouraging the creativity of young people in entrepreneurship, scientific research and art. The award ceremony took place at Espai Mas Marroch Centre in Vilablareix. These awards are given in five different categories as Arts and Literature, Social, Scientific Research, Business and Organisation Award. 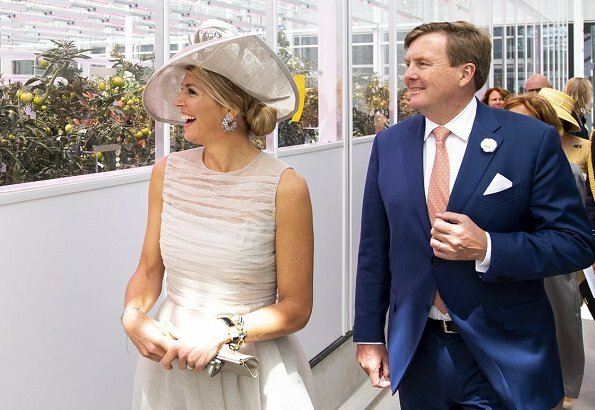 On June 28, 2018, King Willem-Alexander of The Netherlands and Queen Máxima of The Netherlands visited West Friesland region. The purpose of that visit is to see on site economic developments in the region, especially developments in the fields of agriculture, industry and world trade and developments in rural development areas and to receive information. Within this scope, the King and the Queen visit Hoorn, Drechterland, Stede Broec, Enkhuizen and Medemblik cities. 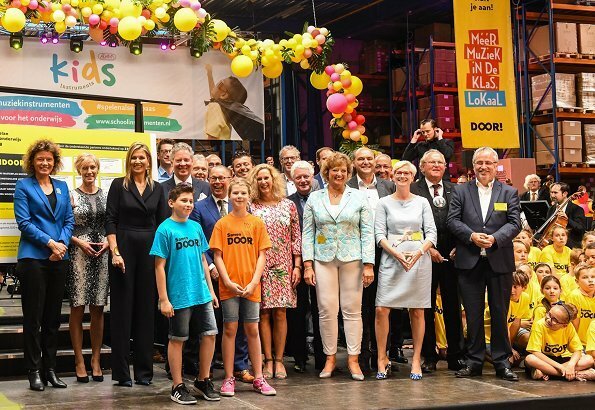 Yesterday, Dutch Queen Maxima visited Zevenaar and Ittervoort cities within the scope of ‘’More music in the classroom’’ program. The Queen attended a meeting at Musiater in Zevenaar in the morning and signed a contract with local partners, relating to giving more music education in schools. In the afternoon, the Queen visited Ittervoort city and attended a meeting at Adams Muziekcentrale and signed a contract with local partners who will give music education to school children. The Queen is the honorary president of "More music in the classroom" (Meer Muziek in de Klas) program. 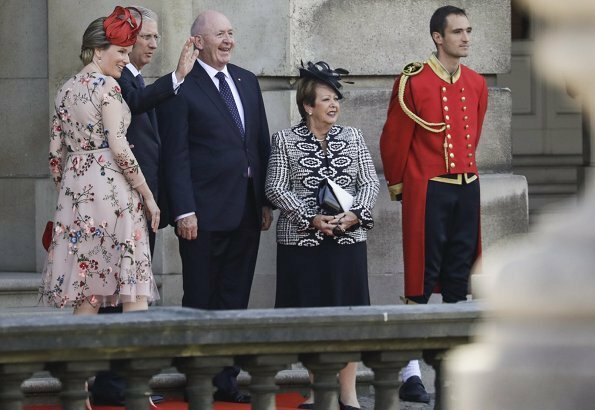 Governor General of the Commonwealth of Australia, Sir Peter John Cosgrove and his wife Lynne Cosgrove are making a three day state visit to Belgium. 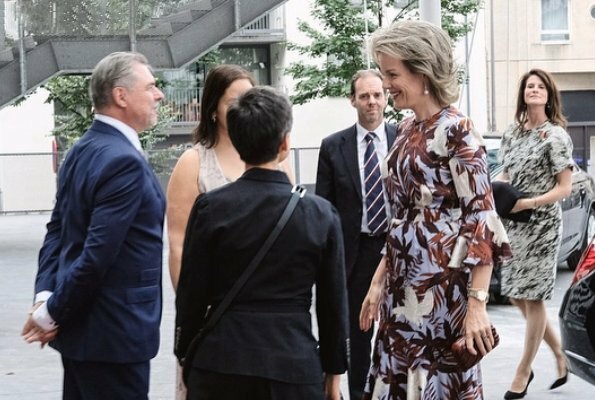 On June 27, 2018, King Philippe of Belgium and Queen Mathilde of Belgium welcomed Governor-General of Australia and his wife with an official ceremony at Royal Palace in Brussels. In the evening, the King and the Queen held a state dinner at Brussels Royal Castle in honour of Sir Peter Cosgrove and Lynne Cosgrove. Queen Letizia presided over the celebration of International Day of Deafblind People held by Spanish Deafblind Federation at Plaza de SS MM. Los Reyes de España on June 27, 2018 in Benidorm, Spain. Benidorm hosts very important meetings for almost three million deaf and blind people across the world between the dates of June 20-27. (A belated post, Thank you, @Blondiini) Princess Beatrice of York attended the Serpentine Summer Party 2018 which is a charity event for V&A Museum at The Serpentine Gallery on June 19, 2018 in Hyde Park in London, England. At that event, Princess Beatrice wore a blue talon feather-jacquard midi dress by Mary Katrantzou. 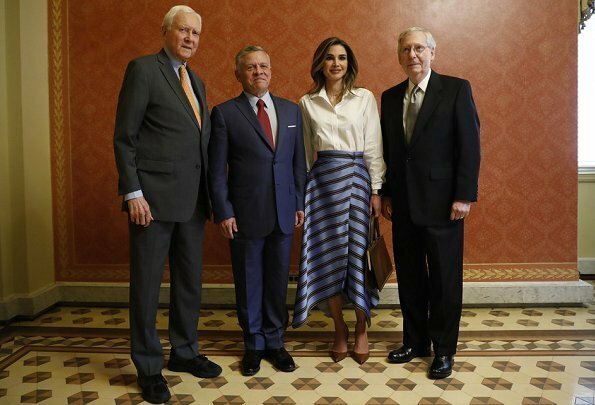 King Abdullah II and Queen Rania of Jordan visited U.S. Capitol in Washington D.C. and met with US senators. Afterwards, Jordanian King Abdullah II and Queen Rania attended a lunch prior to a meeting with House Foreign Affairs Committee Chairman Ed Royce, R-CA in the Rayburn House Office Building on Capitol Hill in Washington, D.C. on June 26, 2018. 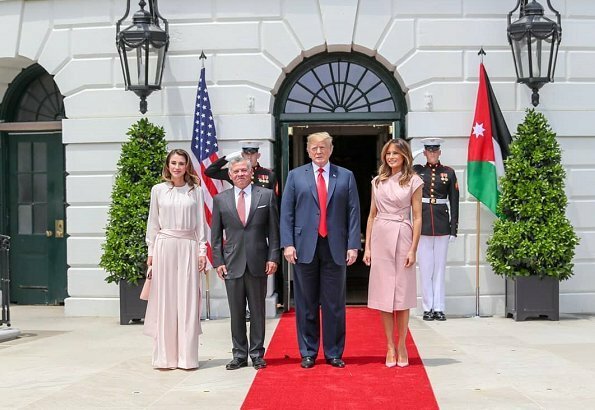 Queen Rania wore a striped satin wrap midi skirt by FENDI. 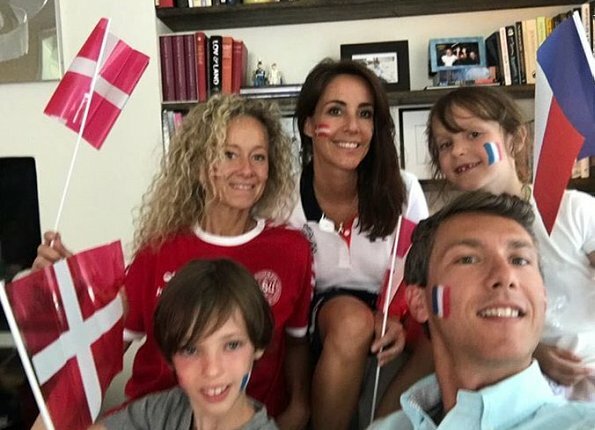 Princess Marie, her children Prince Henrik and Princess Athena watched Denmark-France football match in the World Cup with Charles-Henri Keller yesterday. Charles-Henri is Prince Henrik’s nephew and he is very close to Prince Joachim and his wife Princess Marie. All of them supported both teams with the Danish and the French flags painted on their cheeks. Because Princess Marie is French. The match score was 0-0. 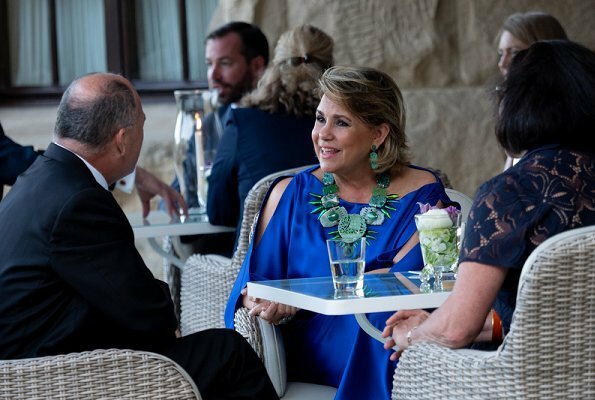 Yesterday, on June 26, 2018, Grand Duke Henri and Grand Duchess Maria Teresa of Luxembourg held a garden party at Luxembourg Berg Castle for Chambers of Trade and Industry, Culture and Education Federations, representatives of European Union and senior officers. Hereditary Grand Duke Guillaume and Hereditary Grand Duchess Stéphanie of Luxembourg attended the garden party. 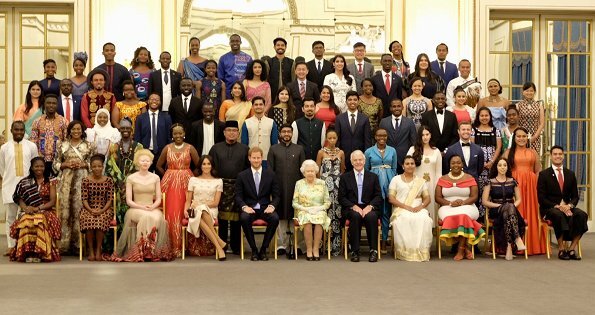 On June 26, 2018, Queen Elizabeth II presented The Queen’s Young Leaders 2018 Awards with a ceremony held at Buckingham Palace. Prince Harry and Duchess Meghan accompanied the Queen at the award ceremony. The Queen’s Young Leader Awards recognizes and celebrates exceptional people between the ages of 18 and 29 from across the Commonwealth, who take the lead in their communities and use their skills to transform lives of people. At the award ceremony, Duchess Meghan wore bespoke dress by Prada. The powder pink set had a belted short sleeve jacket with double-breasted button front and a-line midi skirt. Duchess Meghan wore Aquazzura 'Deneuve' Pumps. The Duchess carried a Biblioteque Leather Clutch by Prada. 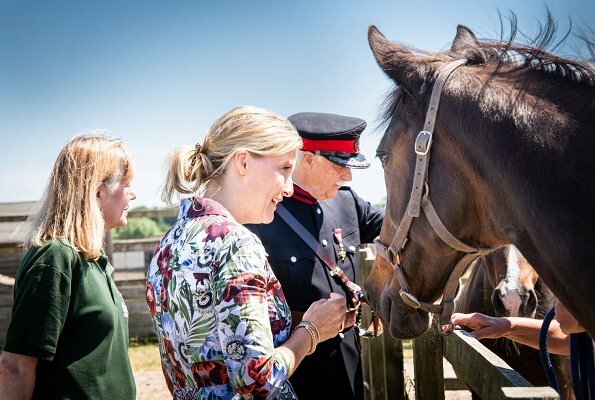 On June 26, Countess Sophie visited Remus Horse Sanctuary in Ingatestone, Essex to help raise awareness of the ongoing horse welfare crisis in the UK on the occasion of 35th anniversary of establishment of the charity. The Countess who joined the charity as a Patron in 2013 is committed to supporting horse welfare. During the visit, Countess Sophie wore Erdem Kasia floral printed silk dress which she had worn before. The Duke and Duchess of Sussex will visit Ireland from Tuesday, July 10 to Wednesday, July 11. This visit is at the request of Queen Elizabeth's Government. During that visit, the Duke and Duchess of Sussex will meet the people of Dublin and visit organisations which are central to Irish life. The Duke and Duchess will also attend a Gaelic sports festival at Croke Park. 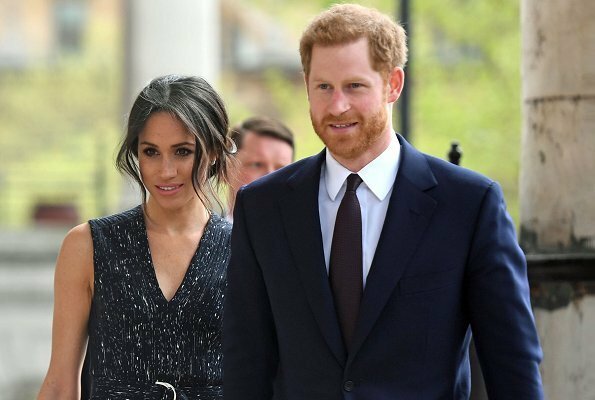 Furthermore, the Duke and Duchess will attend a summer garden party at the British Ambassador's residence and there, they will meet people from across Ireland's arts, sports, military and social enterprise sectors. Dutch Princess Alexia celebrates her 13th birthday today. Alexia Juliana Marcela Laurentien, the Princess of Orange-Nassau was born on June 26, 2005 at HMC Bronovo Hospital as the second child of King Willem-Alexander and Queen Máxima of The Netherlands. Princess Alexia is the second heir to the Dutch throne after her elder sister Crown Princess Catharina-Amalia. (The photo was taken by photographer Erwin Olaf in March 2018 at Amsterdam Royal Palace). On June 25, a cremation service was held at Lyngby Church for Danish Princess Elisabeth who died on June 19, 2018 at the age of 83 after a long lasting disease. The service was directed by former royal Chaplain-in-Ordinary Erik Norman Svendsen. 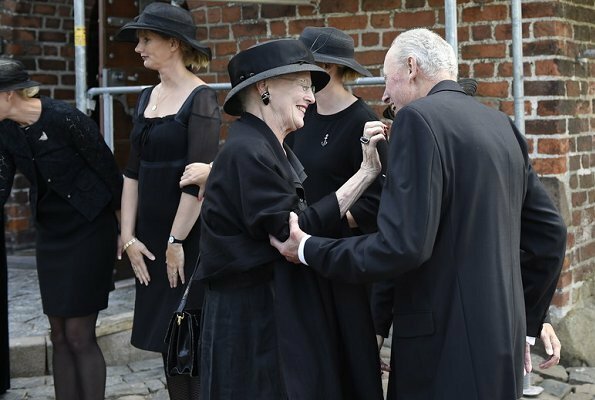 Queen Margrethe of Denmark, Princess Benedikte of Denmark and Queen Anne-Marie of Greece attended the funeral service. Princess Elisabeth was baptized and confirmed in Lyngby Church. The Princess buried beside filmmaker and director Claus Hermansen, whom she lived together with for many years. On June 24, 2018, Queen Sonja of Norway opened a new suspension bridge which is on Opo River along Lofthus pathway in Hardanger region of Hordaland state of Norway. Lofthus is a tourism region with its hotels and camping sites. 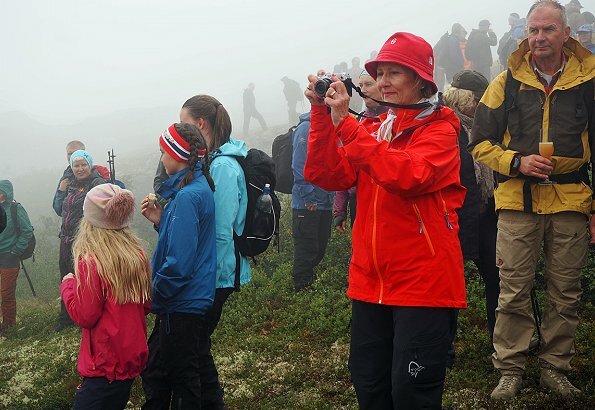 Queen Sonja is a passionate mountain hiker and Hardanger Fjord region is one of her favourite mountain hiking regions. With that suspension bridge built on Opo River, a long hiking pathway reaching the South side of the region has become available. 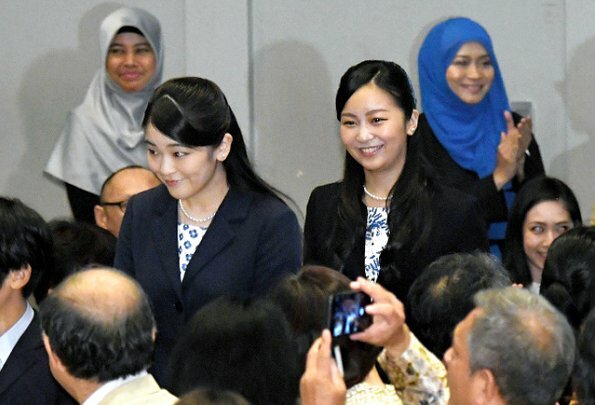 On June 23, Prince and Princess Akishino, Princess Kako, Princess Mako and Prince Hisahito attended Indonesia folk music concert held at Tokyo Concert Hall on the occasion of 60th anniversary of establishment of diplomatic relations between Japan and Republic of Indonesia. Primary school pupils in Kesennuma city affected by Big East Japan Earthquake attended the concert. 23 years old Princess Kako who returned to Japan after a long time was applauded for a long time when she came in the hall. 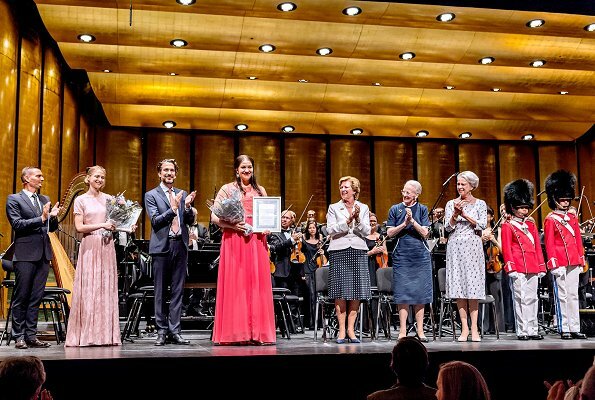 On June 24, 2018, Queen Margrethe of Denmark, Princess Benedikte of Denmark and Queen Anne-Marie of Greece attended presentation of The Queen Ingrid Honors Awards 2018 (Dronning Ingrids Hæderslegat), held in Tivoli Concert Hall. This honorary-legate was created in memory of Queen Ingrid of Denmark who is the mother of Queen Margrethe, Queen Anne-Marie and Princess Benedikte. The award is given every second year to two young artists within dance and music. 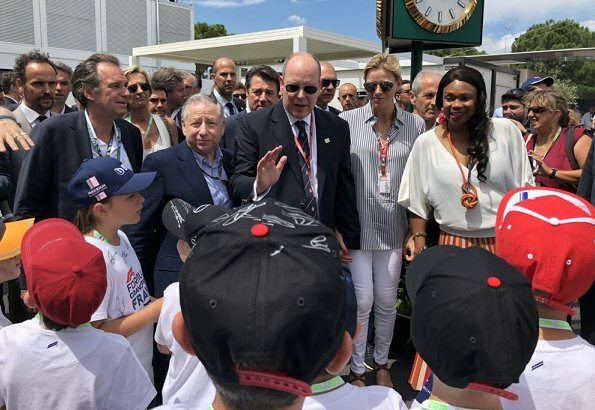 Prince Albert of Monaco, Princess Charlene of Monaco and their children Crown Prince Jacques and Princess Gabriella attended the first meeting of "Rencontre des sites historiques Grimaldi" (Grimaldi Historic Sites of Monaco). In the afternoon, Princess Caroline and Beatrice Borromeo also attended that event. In the evening, there was a reception held in honour of that day at the Principality Palace. The 1st day ended with a "sound and light" show reflected onto the facades of the Principality Palace, which was dedicated to the Grimaldi dynasty. The event continues today. Queen Mathilde attended 2017-2018 Graduation Gala of Antwerp Royal Ballet School and watched "Bolero" ballet performance of graduate students. The theme of this year's graduation gala was Bolero. Antwerp Royal Ballet School is a school where classical dance education and academical dance education are strengthened and has national and international recognition. The school is under the patronage of Queen Mathilde. After celebrations of National Day of Luxembourg that took place today, in the evening of June 23, Grand Duke Henry and Grand Duchess Maria Teresa held a gala reception at Grand Ducal Palace, and the reception was attended by Hereditary Grand Duke Guillaume, Hereditary Grand Duchess Stéphanie, Prince Félix, Princess Claire, Prince Louis, Princess Alexandra and Prince Sebastien of Luxembourg. 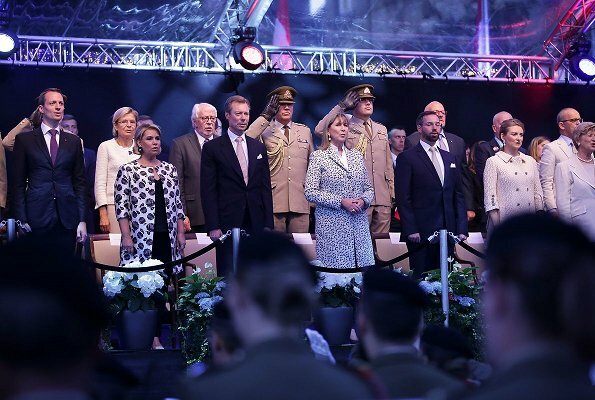 Luxembourg 2018 National Day celebrations began with an official ceremony held at Philharmonie Luxembourg on June 23. Duke Henri, Duchess Maria Teresa, Prince Felix, Princess Claire, Prince Louis, Princess Alexandra and Prince Sebastian attended the ceremony held at Philharmonie. Afterwards, a military parade was held in Avenue de la Liberté Street in Luxembourg before the Grand Ducal family. In connection with National Day celebrations, a "Te Deum" service is being held at Notre Dame Cathedral and the Grand Ducal family is attending the service. 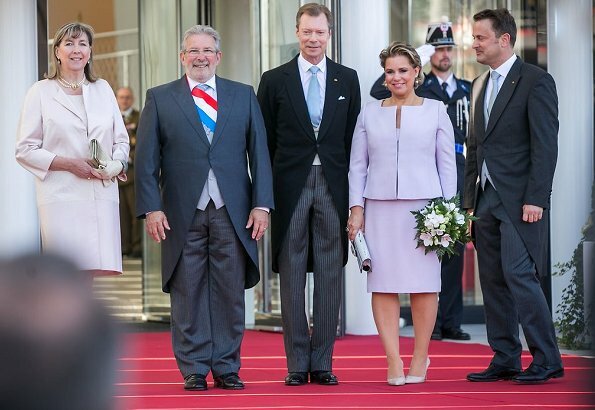 Yesterday, before Luxembourg 2018 National Day Celebrations, Grand Duke Henri and Grand Duchess Maria Teresa visited Larochette, and Hereditary Grand Duke Guillaume and Hereditary Grand Duchess Stéphanie visited Esch-sur-Alzette city. The Grand Ducal couple and the Hereditary Grand Ducal couple then got together again for the traditional torchlight procession. 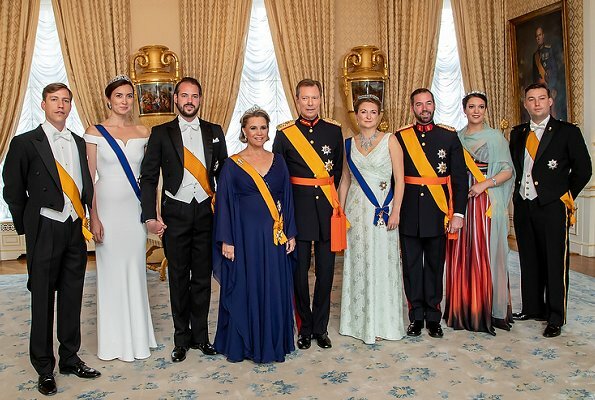 Duke Henri, Duchess Maria Teresa, Prince Guillaume, Princess Stephanie, Prince Felix, Princess Claire, Prince Louis, Princess Alexandra and Prince Sébastien watched the traditional torchlight procession and fireworks show held as part of National Day Celebrations. 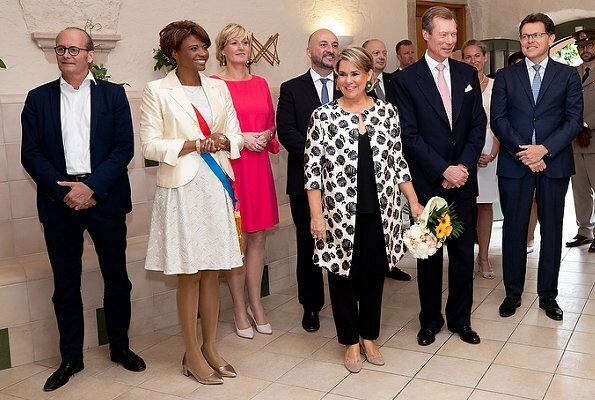 On June 22, 2018, Grand Duke Henri and Grand Duchess Maria Teresa of Luxembourg visited , Larochette and were welcomed by local Mayor Natalie Silva and Deputy Prime Minister Étienne Schneider. The Couple visited Elise de Roebe' Day Care Center for the Elderly, and Stëftung Hëllef Doheem organization. 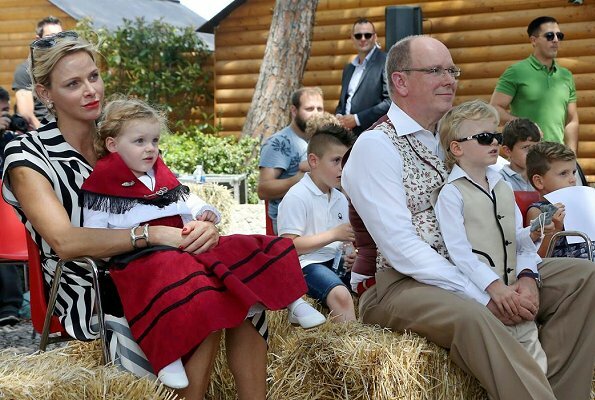 The Grand-Ducal Couple then met with local people and watched musical performances held at the City Park and attended the events held as part of 2018 National Day celebrations. On June 22, 2018, Hereditary Grand Duke Guillaume of Luxembourg and Hereditary Grand Duchess Stephanie of Luxembourg visited Esch-sur-Alzette, Luxembourg's second largest city, the day before the 2018 National Day. The official celebrations all over the Grand Duchy always start on the eve of National Day. National Day in the Grand Duchy of Luxembourg is celebrated every 23 June and is also known as the "Official Birthday of the Grand Duke or Duchess." 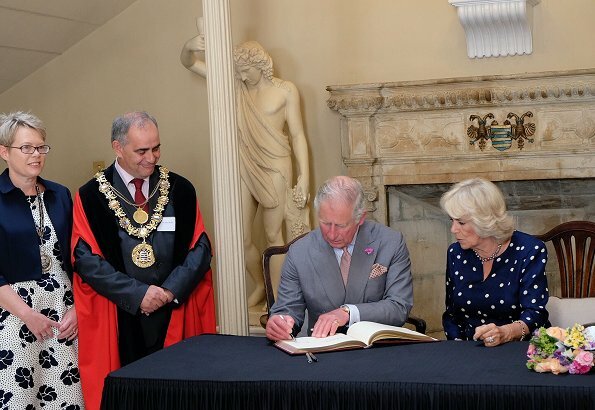 On June 22, 2018, Prince Charles of Wales and Duchess Camilla have visited Salisbury to meet local residents and visit businesses in the city centre. Also, The Prince and The Duchess attended a reception with members of the emergency service. The Prince and The Duchess visited business owners in the town who were affected by the poisoning of the former Russian spy Sergei Skripal and his daughter Yulia Skripal in March 2018. On June 22, 2018, Princess Marie of Denmark visited "Klar til Start" employment project of National Autism Foundation's Youth Association (Landsforeningen Autisme Fonden Unges) in Værløse, Copenhagen. Fonden Unges is a non profit Foundation that aims to prepare and implement education and other initiatives for especially young people with Autism Spectrum Disorders (ASD). The Foundation has initiated "Start for Start" project which aims to help young people with autism (Mild ASD) to be ready for a job. Princess Marie is the patron of National Autism Association. 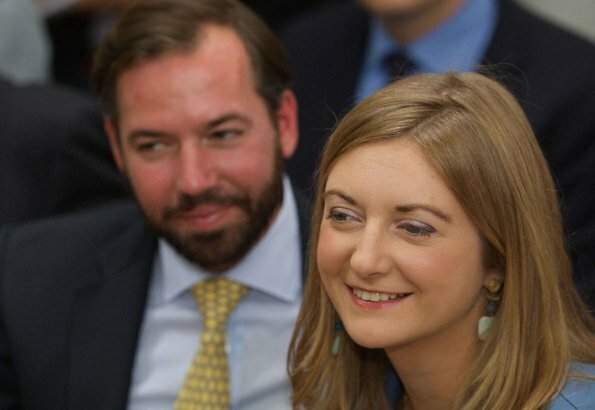 The Grand Ducal court announced that Hereditary Grand Duke Guillaume of Luxembourg and Hereditary Grand Duchess Stéphanie of Luxembourg plan to move to London this year. The Hereditary Grand Duke will begin to do a master's degree in Royal College of Defence Studies in September. Hereditary Grand Duchess Stephanie will move to London with her husband for that reason and benefit from that time period by studying art history in Sotheby's Institute of Art. 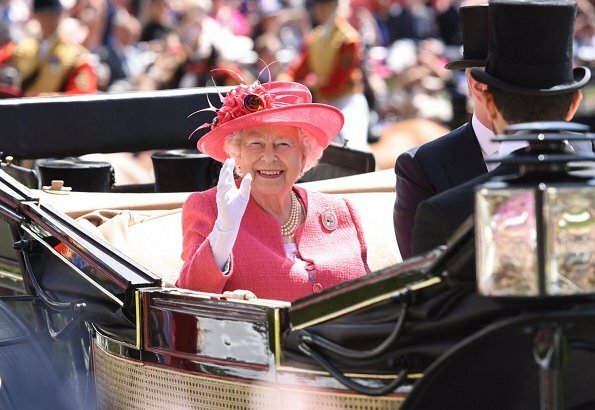 On June 21, 2018, Queen Elizabeth II, Princess Anne, Countess Sophie of Wessex, Princess Beatrice of York, Princess Eugenie of York and Duchess Birgitte of Gloucester attended the third day of Royal Ascot 2018 held at Ascot Racecourse. 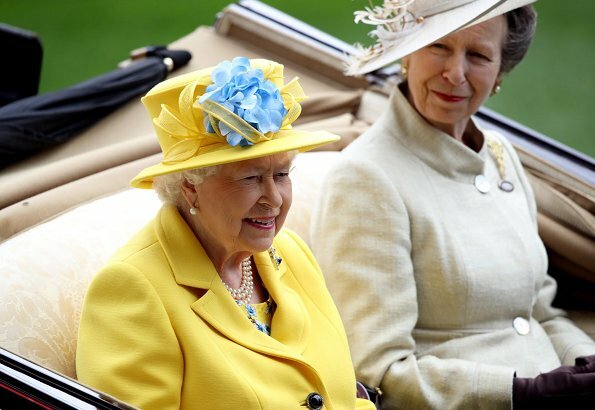 The third day of Royal Ascot is known as Ladies Day. Ladies Day of Royal Ascot is considered one of the most glamorous events in the five day racing calender of Royal Ascot. 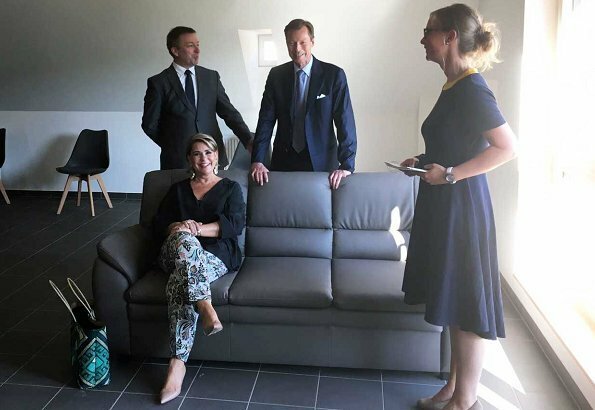 On June 21, 2018, Grand Duke Henri and Grand Duchess Maria Teresa visited old Nelson farmhouse in Colmar-Berg. The farmhouse was bought by Housing Fund in 2000 and recently renovated. Old Nelson farmhouse will serve in the housing project of ARCUS asbl which is a non profit association providing a dynamic education and treatment network for the benefit of children, young people and families. On June 20, 2018, Princess Beatrice of York and Lady Amelia Windsor attended the annual V&A Summer Party 2018 which is a fundraising event of Victoria and Albert Museum, held at London Hyde Park, Serpentine Gallery. 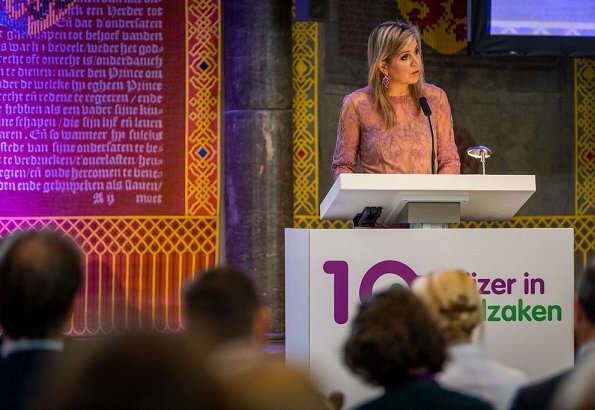 On June 21, 2018, Queen Maxima of The Netherlands attended the 10th jubilee symposium of Money Wise (Wijzer in geldzaken), held at Hall of Knights (Ridderzaal). The Queen gave a speech on financial education at the symposium. Queen Maxima is the honorary president of Money Wise Platform. Money Wise Platform aims to enhance financial literacy of people to enable them to take healthy financial decisions. Yesterday evening, on June 2018 Princess Elisabeth of Denmark (born on May 8, 1935) passed away quietly after a lengthy illness. The Princess was surrounded by her closest family. 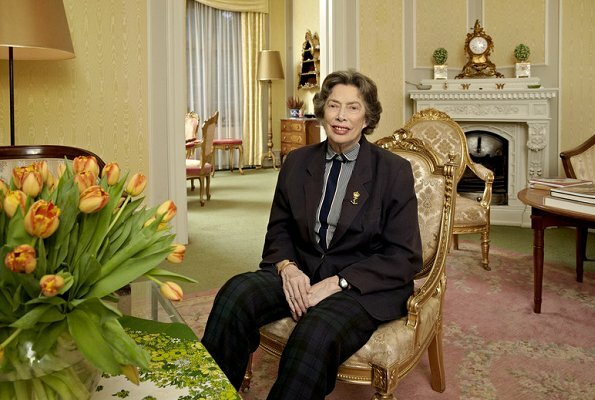 Princess Elisabeth was in the order of succession to the Danish throne and lived her final years at Sorgenfri Palace. The Princess was Hereditary Prince Knud’s and Hereditary Princess Caroline-Mathilde’s first-born child and also the first grandchild of King Christian X and Queen Alexandrine. Prince Louis, the son of the Duke and Duchess of Cambridge, will be christened on July 9, Kensington Palace has announced. 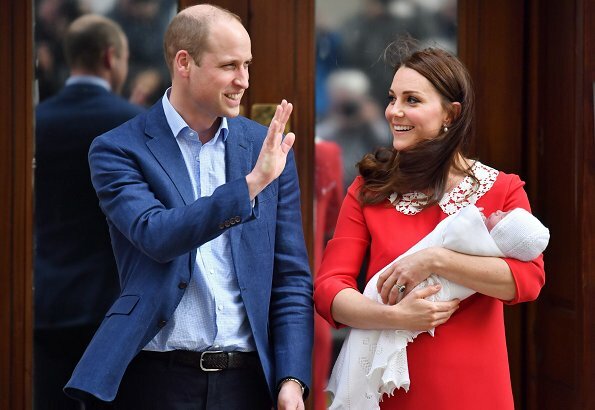 In a statement, the palace said 'The Duke and Duchess of Cambridge are pleased to announce that the christening of Prince Louis will take place on Monday 9th July at Chapel Royal, St James’s Palace,'. Prince Louis will be christened by The Archbishop of Canterbury, the Most Reverend Justin Welby. 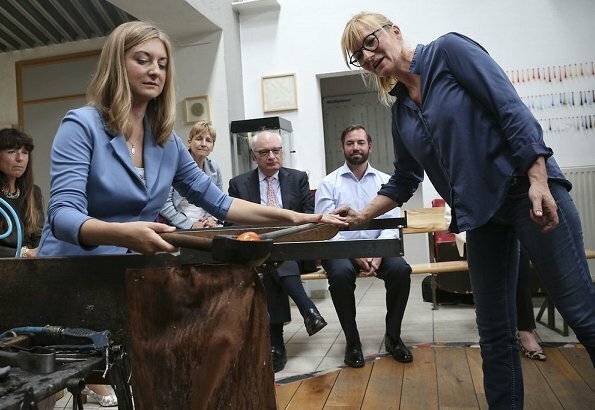 Hereditary Grand Duke Guillaume and Hereditary Grand Duchess Stéphanie visited glassblower Pascale Seil's glassblowing workshop in Berdorf village. Pascale Seil produces small tablewares and special glass sculptures in his workshop and he is the one and only glassblower in Luxembourg. 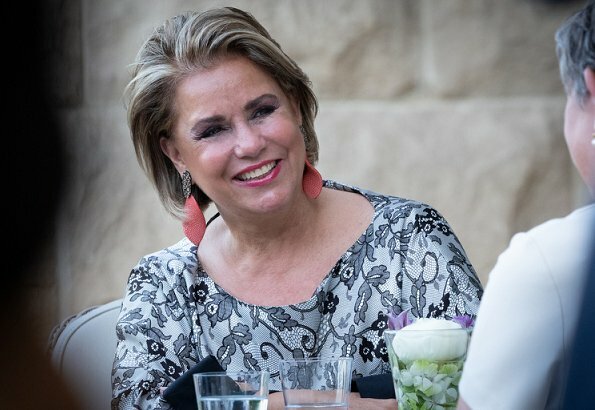 Works of Pascale Seil will be exhibited in De Mains de Maîtres Bienal initiated by Princess Stephanie and Prince Guillaume. On June 19, 2018, Princess Charlene of Monaco attended the closing ceremony of 58th Monte Carlo TV Festival held at Monte-Carlo Grimaldi Forum and award ceremony of Golden Nymph Awards. Prince Albert II is the honorary president of the Festival since 1988. At the closing ceremony, Princess Charlene wore a dress by Carolina Herrera. 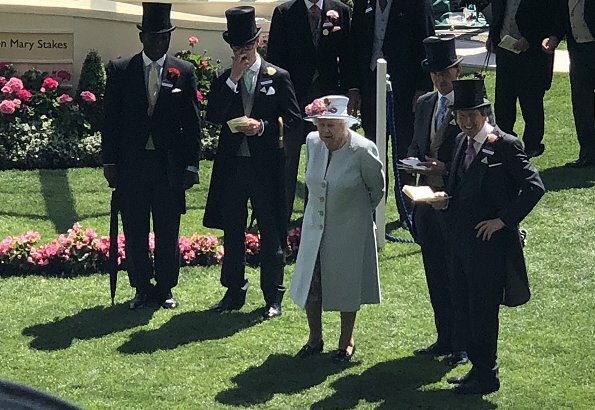 On June 19, 2018, Queen Elizabeth II, Prince Charles, Duchess Camilla, Prince Harry, Duchess Meghan of Sussex, Prince Edward, Countess Sophie of Wessex, Princess Beatrice, Princess Eugenie and Princess Michael attended the first day of Royal Ascot 2018 held at Ascot Racecourse in Ascot. Duchess Meghan wore a bespoke white shirt-style dress by Givenchy and carried a black handbag by the same brand Givenchy.